TOTAL FLANKER...a rugby blog: What's in a name? News this week that Saracens have secured an £8m deal with Allianz to re-name their new stadium for the next 6 years. 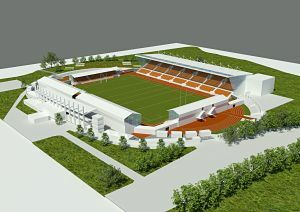 The Barnet Copthall Stadium, into which Sarries are expected to move next February, will now be called Allianz Park. Perhaps more interesting, though, is the fact that the stadium will feature an artificial pitch, meaning that “springtime rugby” could be played all year round. Admittedly this would involve something of a sea-change in the Sarries style of play but it does beg the question – could artificial pitches be the long-term answer to the skills gap between the northern and southern hemispheres? God save us from artificial pitches especially if you're forward. Can you imagine the carpet burns? Last year i had to play a match against a student team here in The Netherlands. The university apperantly made the choice to use football turf..... i didn't like it one bit, after 80 minutes i actually got cleaner.